Ex-Christadelphians: My new dining table proves Evolution true! I have been a fossil hunter for approximately thirty five years. I have a large collection with specimens dating back to approximately 400 million years and some as young as 66 million years. Almost all of my collection was cracked from the rocks with my own hands; but some of my best pieces were purchased. Wherever I go, if the geology is suitable, I scour the rocks for fossils; it's something that I do without thinking. A close up picture of my table top. 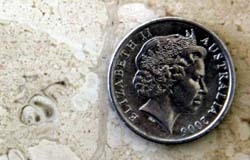 an Australian 10 cent piece for scale. 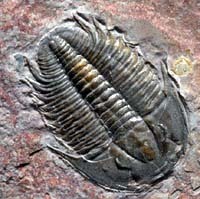 The trilobite's head is facing downwards. 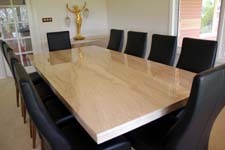 Today I took delivery of a new dining suite manufactured from a single slab of Italian marble. It weighs a quarter of a ton and it took six strong men to carry. After the deliverymen left I started scanning the table top looking for fossils; as I do by habit every time I see a piece of rock. Almost immediately I spotted an Ammonite fossil! I was overjoyed. As I continued to scour the table top I found approximately forty five more fossils. One fossil was so beautiful that when I saw it I felt like fetching my fossil hammer and chipping it out of the table top. I quickly overcame the urge to shatter the table and look into the deeper layers for more fossils! I have uploaded some pictures for you to enjoy, together with some fossils of the same creatures taken from Sedimentary rock so that you can see what they looked like before they were deformed in shape in the marble. Remember my dining table fossils have been heated, pressurised and partially melted before solidifying again. From what I know of Geology and Palaeontology, I estimate my table to be from sedimentary rock that was originally laid down on the bed of a coral sea approximately 150- 200 million years ago in the Jurassic era. There is a small piece of fossil coral in my table, so the water above my table must have been a shallow, warm, tropical sea. 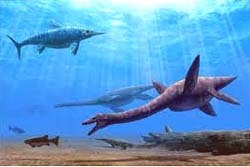 These types of fossils lived in such waters. This was the great age of the dinosaurs. Giant Plesiosaurs and Pliosaurs must have swam over my dining table. Pterodactyls must have flown high above the sea that was slowly laying down the sediment that was forming the rock that now forms the support for my dinner plates and wine glasses. On land, giant dinosaurs roamed the carbon dioxide rich jungles and T Rex stalked it's prey. 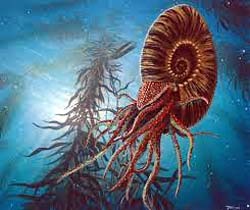 approximately 175 million years ago. The Bible is emphatic that the Earth and living species were created by God approximately six thousand years ago. But my dining table says otherwise. It tells us that rock that can be dated back hundreds of millions of years was slowly laid down in a warm sea, then driven deep into the bowels of the Earth by Plate Tectonic movement, where it was heated and metamorphosed until it was brought back up to the surface in Italy when the African plate moved North to crush the Mediterranean sea. Those rock movements are so slow that your fingernails grow at the same speed! That did not take six thousand years. It took hundreds of millions of years for my dining table to form. In modern times quarrymen chipped that rock from the side of an Italian mountain, shaped, polished and sprayed it with clear lacquer to manufacture a dining table, then they shipped it to the other side of the world to Peth Australia, where it was loaded onto a truck and driven to my home in Melbourne. In the 21st Century they silently testify to the truth of Evolution. That all life on Earth gradually evolved over aeons of time by a process that was not random chance; but rather it was a design process that obeyed the complex physical and biological laws of our universe to produce such wonder and diversity. My table is also a witness to the error of the Biblical narrative and to the cheating liars who wrote the Genesis narrative. ﻿﻿﻿﻿My table is a quarter of a ton of evidence that Christadelphians are wrong and that I was right to deconvert thirty years ago. My table is a Christadelphian Unbelievers table! 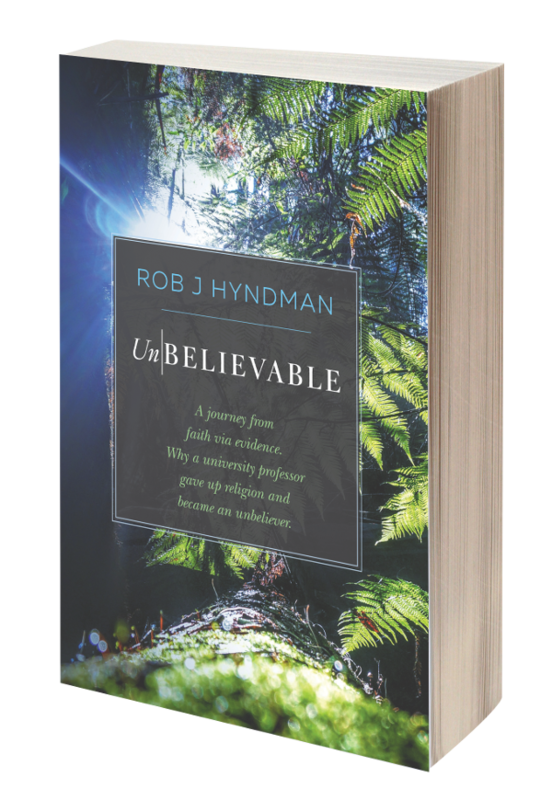 If any reader would like to call round to my home in Lysterfield Melbourne Australia to see my fossils and hear me explain how Evolution works; please email me.